Save time by making deposits electronically without having to go to the bank. 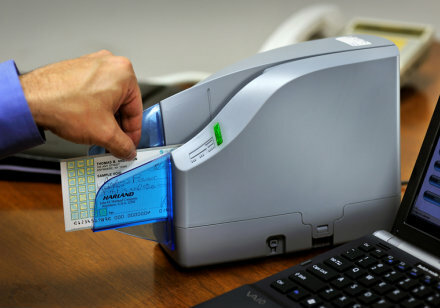 This revolutionary electronic check processing tool lets you scan your checks, then transmit them directly to the bank. You'll have faster access to your funds while keeping your information safe. Sign up online today!